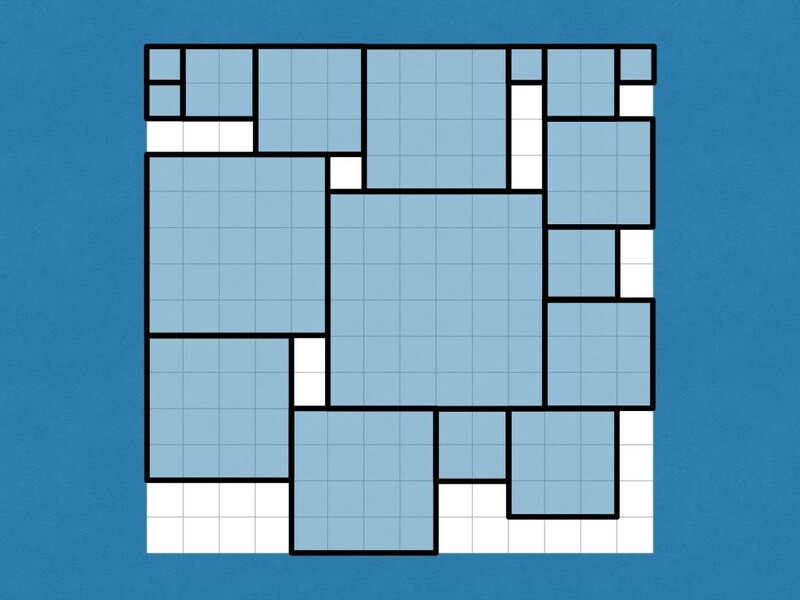 The big square is squeeze-packed according to a strict set of rules called an algorithm. Let’s call this algorithm Square Sardine Packing. 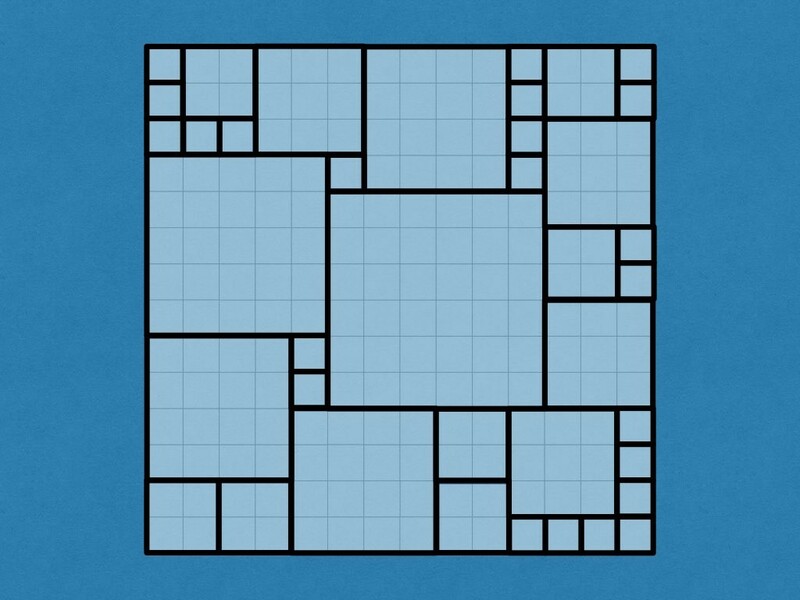 Can you figure out how it works in this big 9×9 square? Here is Square Sardine Packing on a 12×12 square. Try to let your students figure out how Square Sardine Packing works by themselves. It is not easy! Don’t feel badly if they can’t do it. Given these two examples I don’t think I would figure it. On the next slide there will be a hint. Here is the Square Sardine Packing for a 14×14 square. 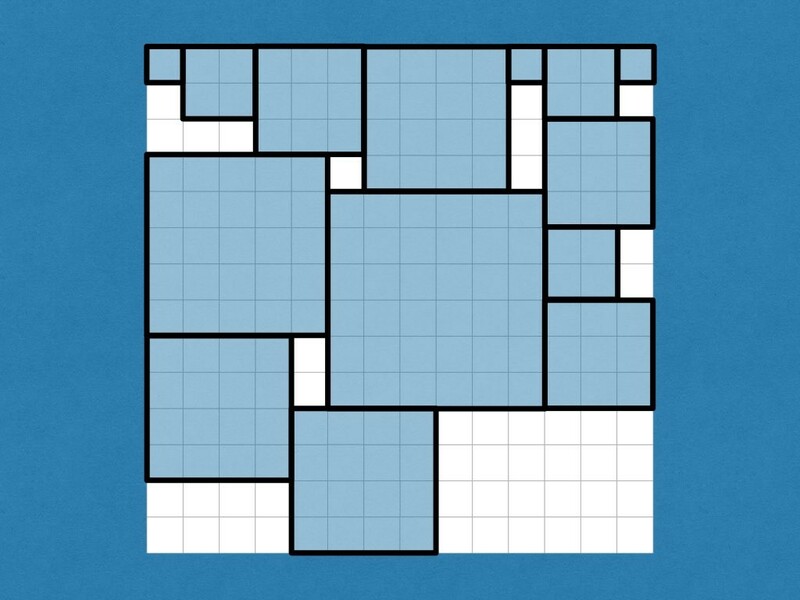 Hint: The first small square added was the 1×1 square in the top left. The second square added was the 2×2 square next to it. The next square added was the 3×3 square in the top row. That’s true for all the Square Sardine Packings that you’ve seen. A coincidence? Try one last time – you might need to look back at the previous two slides. The 14×14 square starts being built with these smaller squares… We stop at 6×6 just because we can’t add any larger square. 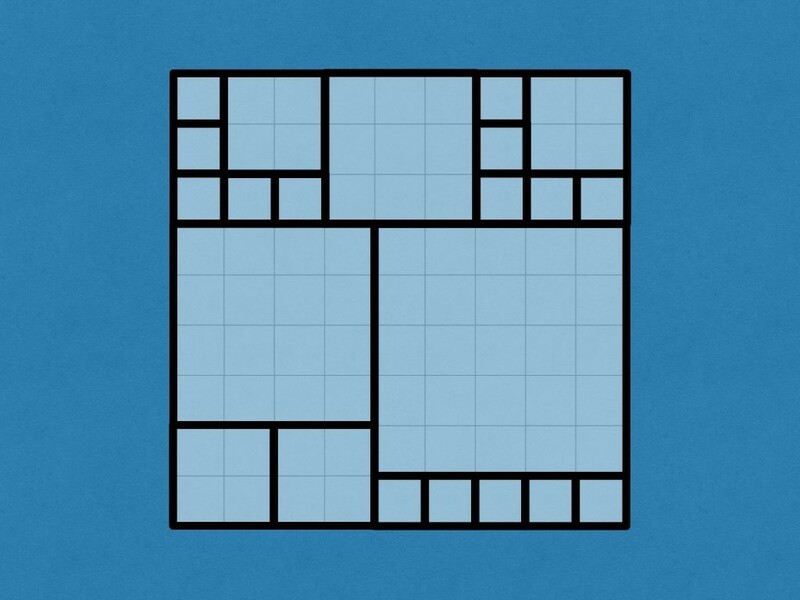 How are the small squares added? Each one is added by placing it as high as possible. In the case of a tie place it as left as possible. Now we do it all again. Starting at 1×1. Trying to place it as high as possible; and in the case of a tie placing it as left as possible. Then a 2×2. Then a 3×3. This second pass is possible up to 4×4 -larger squares cannot be squeezed in. A third pass is again starts with 1×1 and gets up to 4×4 before being unable to squeeze in anything else. A fourth pass starts with 1×1 and gets up to 3×3. 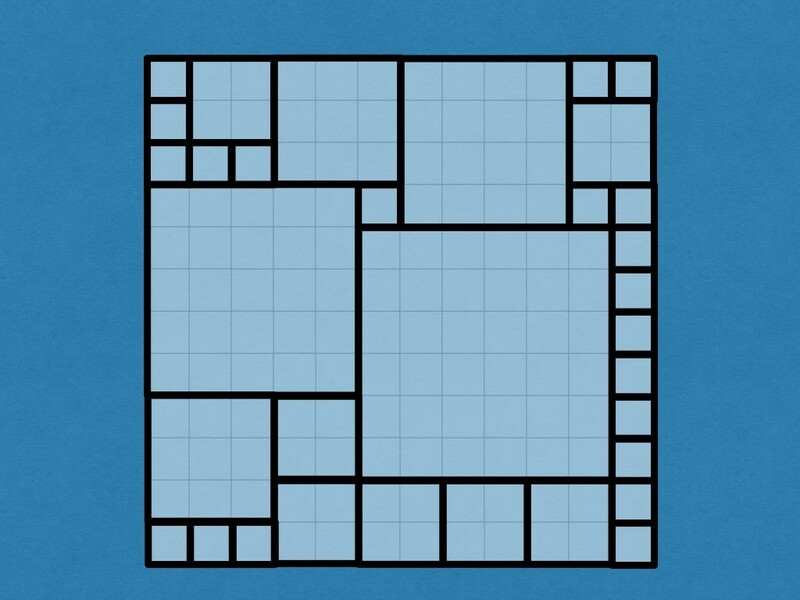 No larger squares can be squeezed in. 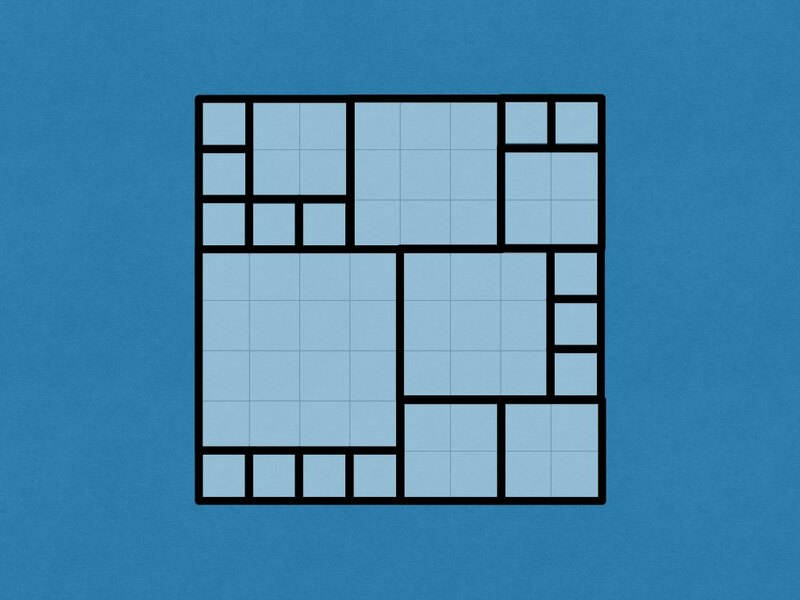 Choose any square to pack as a class. 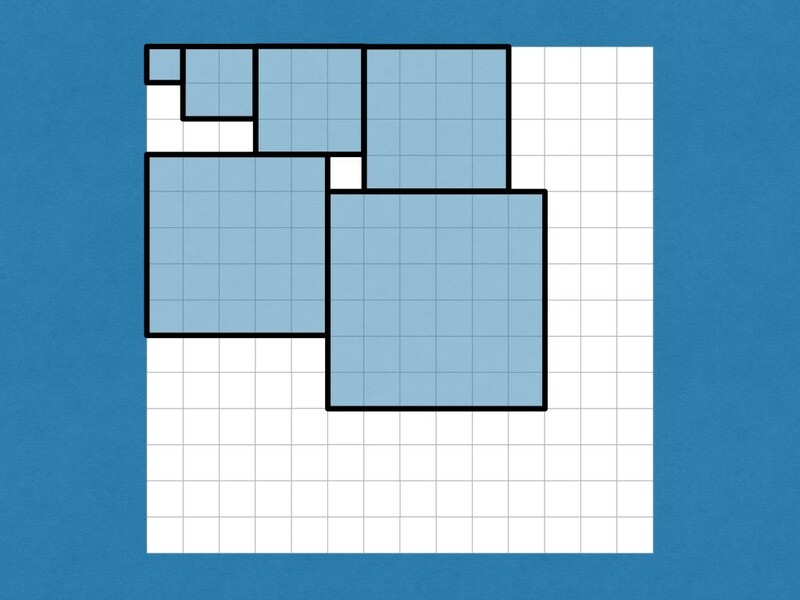 Before you begin packing a big square – Get your students to guess which of the small square sizes will cover the most area. I like to put the guesses into percentages. In this eight by eight square the 3×3 squares win. The 9×9 solution. 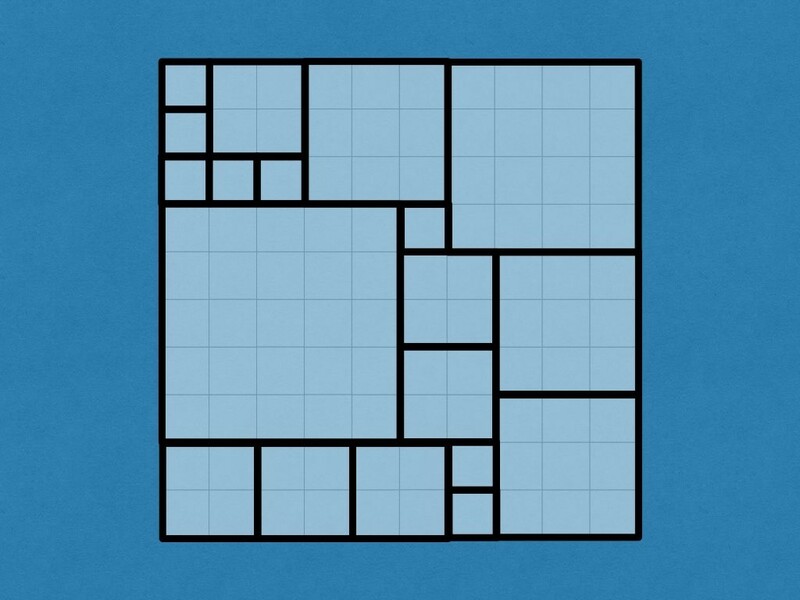 The 5×5 square covers a whopping 25/81 = 31% of the big square. Is that a record? The 10×10 solution. The 3×3 squares win here with 27% covered. 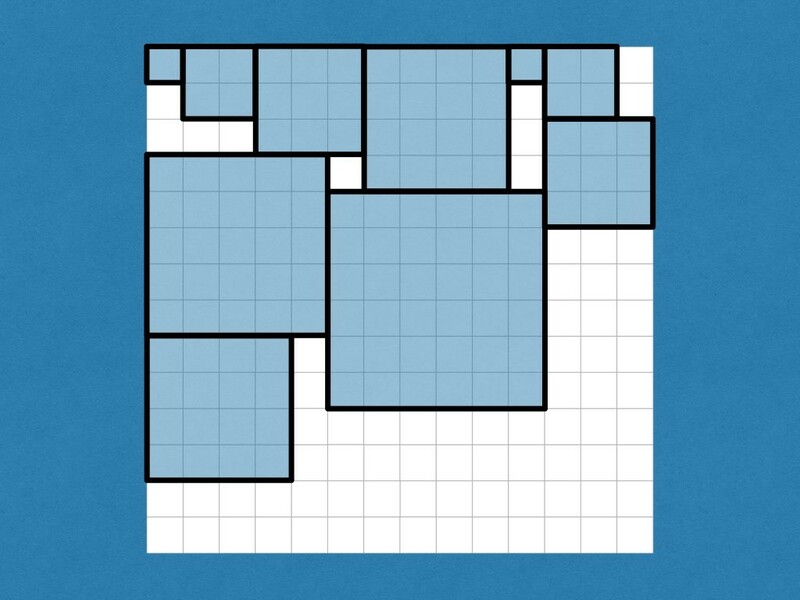 Students try to deduce the rules governing the packing of big squares by little squares. Math class is where students should first be exposed to the Scientific Method as they try to uncover the truth of some “Mathematical Mini Universe” like this. As complex as the square packing might look at the start it is a lot simpler and less messy than the real world! The scientific Method should be taught by getting kids mucky in the real world in tandem with the nice crisp Mathematical Mini Universes.